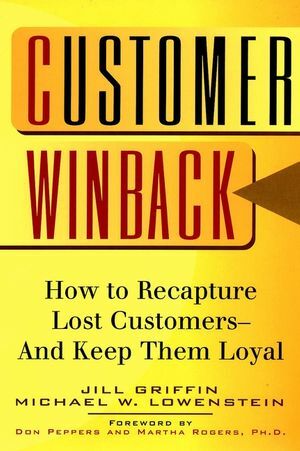 CUSTOMER RECOVERY: WINNING BACK LOST CUSTOMERS. Why Aggressive Customer Recovery is Critical to Your Success. A Closer Look at Customer Loss. Making New Customers Defection Proof. @Preventing Loss When the Honeymoon is Over. Early Intervention for Rocky Relationships. Saving Customers On the Brink of Defection. CUSTOMER PROCOVERY: KEEPING REACTIVATED CUSTOMERS AND MINIMIZING DEFECTIONS. Practicing Procovery: Why Recovery is Not Enough. Happy Employees Equal Loyal Customers. Complaints: Your Number One Customer Procovery Weapon. The Real Role of Service in Customer Recovery. Making Your Company Defection Proof.